According to the bank, they are now focused on helping customers to transition. 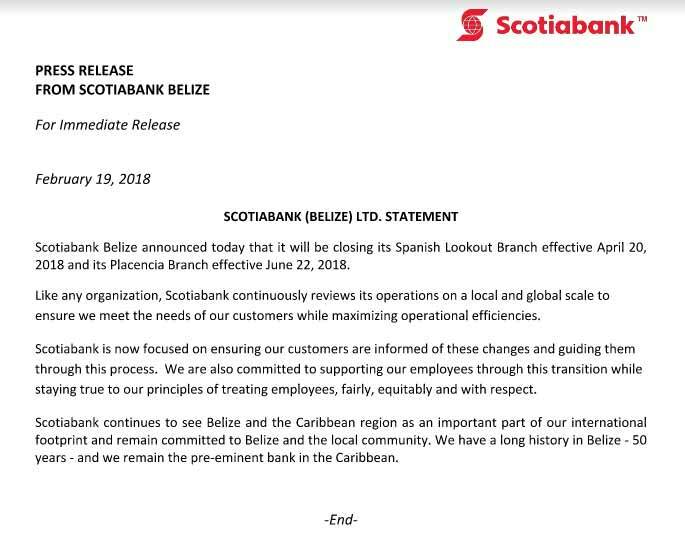 The Bank didn’t explicitly say whether the employees will be rehired by other branches only that they are committed to treating employees, fairly, equitably and with respect. We note that these two branches are located in two areas of big commerce and trade. Spanish Lookout is the largest Mennonite commercial and industrial community, while Placencia continues to boom with tourism business and is one of the top tourist destinations in the country where millions are being spent and invested. 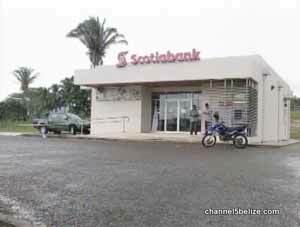 As you may have recalled, Spanish Lookout Branch was the target of robbers twice in the last decade, as recent as October of last year. In a previous robbery over seven years ago, a security guard was shot and killed and robbers made off with three hundred thousand dollars.